In order to be an indispensable asset to your executive and company, it’s crucial to master critical thinking skills. By sharpening cognitive skills, we then possess the ability to step outside our biases in order to see problems or situations from a new or different angle. Our leaders and executives all possess strong critical thinking skills. Isn’t it just as important that we sharpen these skills, too? Melba J. Duncan, Founder & President of the Duncan Group, and I addressed sharpening critical thinking skills with senior level executive assistants at the Executive Leadership Support Forum: Chicago Downtown. 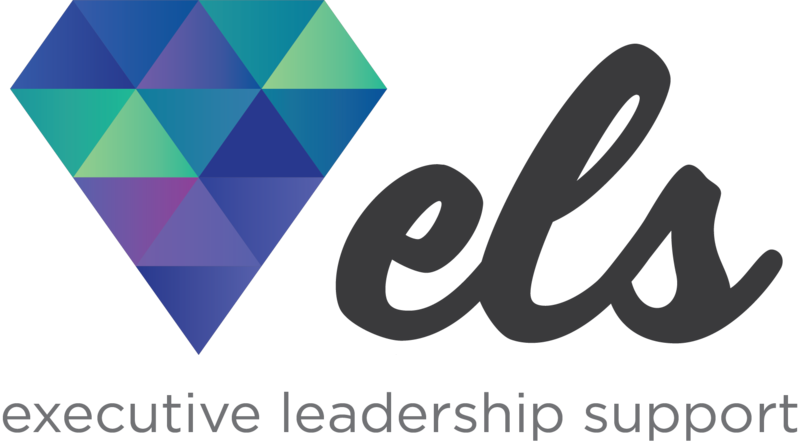 There are many more ELS Forums to come in 2018, spanning major cities throughout North America, making it an imperative time to discuss the importance of critical thinking within the role of an executive assistant. Critical thinking is the objective analysis and evaluation of an issue in order to form a judgment. When you evaluate information critically, you can avoid falling prey to unethical companies, people, and behaviors. You work more productively and save the world’s most valuable and nonrenewable resource – time. You also pave the way to come up with solutions no one ever imagined. Learning to employ critical thinking into every function will take your career to the next level. It’s an EA’s job to always be thinking critically, so that their executive doesn’t experience decision fatigue. Decision fatigue refers to the deteriorating quality of decisions made after a long session of decision making. Avoiding decision fatigue means an executive has the energy and time to handle larger challenges at hand. Therefore, even within micro decisions, it’s an EA’s job to prioritize and understand business context. As Melba Duncan expresses, “A good EA is always ahead of their CEO.” You can’t just be an automaton, even with functions such as calendaring. One may presume that it’s an automatic and uncritical task, when it is in fact probably the only way one can build trust to prove you have critical thinking skills. Prove to your executive that you can calendar like they would calendar. Even the most mundane of tasks must be employed with critical thinking. For a top-notch Executive Assistant, we must apply that skill to everything we do for our principals. It’s our job to sweat the small stuff so they can sweat the big stuff. It’s paramount that assistants strive to be strategic thinkers and thought partners of their executive because they are being trusted with an executive’s most valuable, non-renewable resource on the planet, which is an executive’s time. I don’t trust my financial wealth to anybody but a professional. Similarly, I wouldn’t trust my time, which is my most valuable resource – and which is an executive’s most valuable resource – with anyone other than an executive assistant. It’s the executive assistant’s job to manage executive time like a flawless portfolio. You all are portfolio managers. What does this look like in practice? My executive’s schedule is booked and all she has available is car time. I save these appointments for the people who aren’t used to prepare for meetings, because having a meeting in a car really forces you to be concise and have your points planned out. When someone is looking to get on the calendar, I let them know car time the only time available. It forces them to ask the critical questions: Are they prepared to spend 30 minutes in a car ride with the executive? Do they have their questions prepared? Are they prepared to have 30 minutes of uninterrupted conversation? Critical thinking isn’t about ideas; it’s about decisions that then become actions. It’s about protecting time spent by turning judgement calls into actions. They do it, shouldn’t you? The majority of executives I have worked with spend a week to two weeks attending their own professional development and networking opportunities. It is imperative to spend the time and money on professional development. When you walk into an ELS Forum, for example, all of the answers are already in this room. We can learn so much from each other; We just need to start talking. Secondly, most executives I know also have therapists to work through their most difficult stresses, both professionally and personally. I expect executive assistants that I work with to be happy. If that means they have to do fly fishing once a week or be at yoga from 3-4pm, then so be it. Or if it means having to work from home half a day once a week to care for an elderly person in their home or a child, then so be it. It’s important to be healthy and happy in order to be productive in your career. Take the time to make that happen. Last but not least, executives have rituals they perform each day to keep them from experiencing decision fatigue. Rituals help reduce decision fatigue and provides energy to keep executives fine-tuned, so they are able to hone in on what is important. Executive assistants should also dive into the networking ritual that executives behave in, in order to ensure they are constantly reaching for more. Networking allows you to reach out in the world and see where you in comparison to your peers. Are you constantly learning and growing? Collaborating helps build critical thinking skills by opening up different perspectives and breaking biases. It’s important to network and bring those individuals together to always strive for the best. Although it’s ideal to have the support of your company and your executive, it’s essentially up to the executive assistant themselves to seek out opportunities for professional growth. This can be though conferences or forums, professional coaching, and even fundamental learning by shadowing your executive. The quickest way to fine tune your critical thinking skills is by being the executive’s shadow and taking a seat at the table, to learn and to engage. Learn the business – understand their core strategy. And continue to learn, not just about your company, but macro trends within the industry, too. Learn about your executive. Learn what times are best for them to not be disturbed, when their best thinking times are, and times he or she wants to be alone. Learning these patterns and having a high emotional quotient is critical. Secondly, engage in professional development and networking. I urge you to attend an ELS Forum. EAs will come away inspired and motivated to up level their career and go after opportunities to increase their strategic and critical thinking capabilities. These invaluable skills encourage meaningful discussions between executives and their assistants. Executives not only appreciate EAs who can think critically, but are more productive in their day to day activities. For those wishing to speak to Melba in person, Executive Leadership Support highly recommends attending an ELS Forum in the near future. Forums allow for in depth discussions between contributors and attendees. While ELS forums are centered directly for c-suite executive assistants, the value is felt across a wide range of careers and industries. Melba will be contributing at the upcoming forums in New York, Seattle, and Minneapolis. Join us in learning from her extraordinary Journey. Check out my full speaker interview and bio, here.